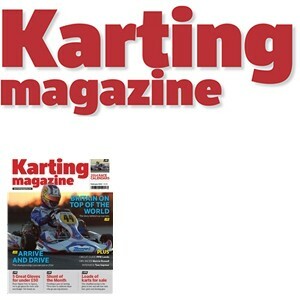 Karting magazine covers every level from the grassroots up to KF KGP and Rotax, providing all the latest news from circuits. It covers general news and new products such as Karts and engines, reports from Cadets racing for the youngsters, league and endurance racing for the grown-ups, the British Superkart Championship, as well as a beginners section for those new to the sport. It also possesses a comprehensive round-up section of all the news from the clubs across the country, a look at the history of the sport and some fantastic photography throughout. Ikonn is a creative design agency who provides solutions for large corporations, SMEs and start up businesses on a national and international platform. Since 1999 we have been responsible for much success in many different industries by using our strategic ethos and proven templates for your success. We deliver a direct quality service with no hidden agenda or transparent pricing. We build working relationships with trust and honesty and most importantly… we listen. The roots of GMS date back to 1994, when David Griffiths set up the Kent based team to help to try to use his skills and knowledge learnt over the years of UK and European competition to creating a winning kart racing team. After several years of competing in different championships and acting as a race mechanic to several successful drivers, in 2009 Griffiths united a number of drivers under the GMS banner, competing with a fleet of the team’s newly developed X30 Chassis. In 2012 the team continued to score wins and podiums at club events, UK national championships and the Rotax World Finals, with X30 customer chassis proving dominant in the OEKC endurance series. With an expanding customer base and a new tie-up with Gillard Karts to increase the chassis options available to the team and its customers, GMS continues to go from strength to strength going into 2013. All stock available for immediate dispatch.